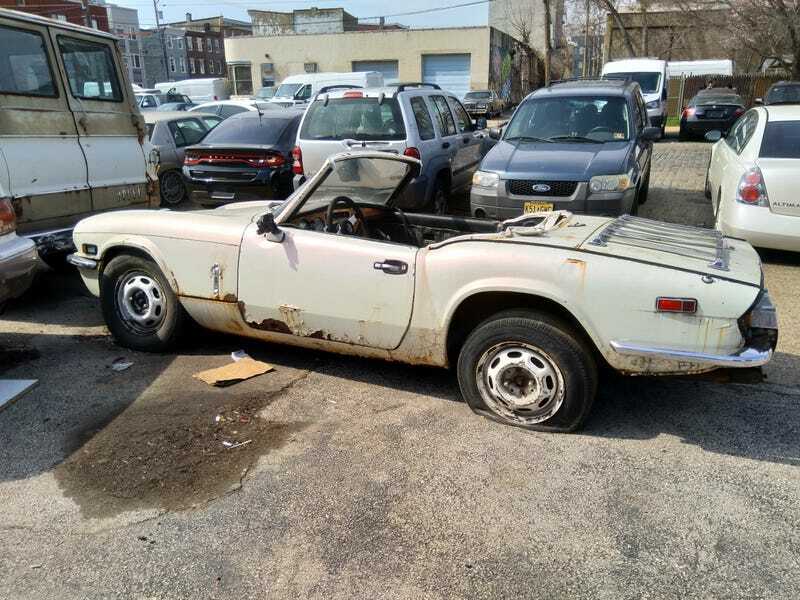 Triumph Spitfire rust bucket on the lot of an auto repair shop. 11-year-old kid for scale. It’s a very tiny car. Bonus Yamaha UJM with Husqvarna fuel tank.